The trend of selfies and pictures is on peak nowadays. Youngsters are now too much inclined towards taking pictures all the time and they take selfies without taking care of where they are. We have observed that they can do anything to get a perfect picture and post it on Facebook. They invest a huge amount of money on buying expensive flagships just because they are offering the best cameras with awesome image results. But one can also download Best Camera Apps for Android for the same purpose as most such apps are free. Taking pictures is getting as critical to most of the youth as oxygen. Youth is taking it as a good channel of self-expression, that’s why they want to capture each and every moment of their life. However, they don’t want only selfies but perfect Pictures. For that, they usually stay confused that what to do. There are so many camera apps available on Android which can help you take the best selfies. 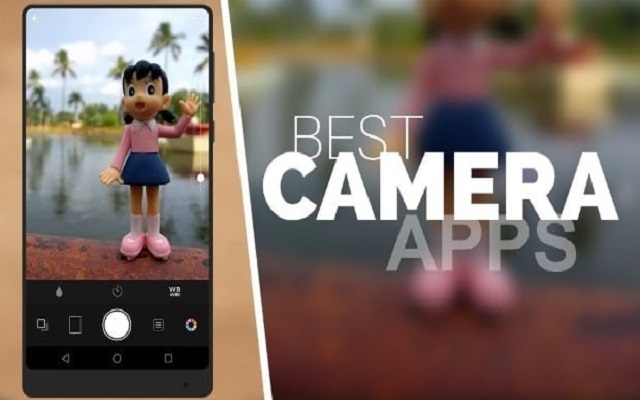 Many people might know about the best Android camera apps but would be not confident that which one is more suitable and better than others. In today’s post, you will get to know that which best camera apps for Android are good for you. The Open Camera is the best free camera app for Android. It is very user-friendly and easier to use. It has a virtual trigger that lets you switch between photos and videos. It also allows you to select other options which will be available on the right. you can take multiple selfies and turn them into a beautiful collage. In order to decorate and edit your shots, there are over 100 stickers in this beauty filter app. Download Open Camera App from Google Play and enjoy. Moreover, you can also add doodles to your pictures. One simple tap will take the best snapshot while a long press will capture live video. You can also switch into GIF mode and turn the snap or video into your very own GIF-able moment. Retrica is not only a camera but it is also a community. You can meet and make new friends in this selfie editor. You can also send private messages with a new direct messaging feature. You can Download it from Playstore or Click Here. The Visual Supply Company is very famous for its community and tools for creators. VSCO is an excellent camera and all-in-one photo editor. This is one of the simplest camera application and is user-friendly. You just need to take a photo or record a video and apply a good colour filter that enhances the picture. The app is packed with some marvellous features. It is all-purpose camera tool available in town. Download VSCO Cam from Google Play by Clicking here. Cymera is the best beauty app that allows you to take instant and perfect selfies wherever you are. The special effects of Cymera can pop out your face in the image. For perfect the skin makeover, this Camera app for Android comes with a 5-step process. With the help of this app, you can combine up to nine photos into one and blur the background with a simple touch for more HD effect. There are 130 different filters with 7 different and fascinating camera lenses. There is a silent mode to shoot wherever you want without disturbing people in surroundings. There is also a Bluetooth connection available for selfie sticks with a remote. You can also Upgrade Photos with Unique Items such as trendy stickers, animal masks, beauty filters, light effects, frames. This camera app comes with language Support of Korean, English, Spanish, German, Japanese, Chinese (traditional and simplified), Thai, Portuguese, Russian, Indonesian, Turkish, and Vietnamese. ProCam 5 is the best camera app that can help you to take a perfect picture as well as video. It has everything for still photo shoot including night and burst modes, slow shutter tools, Portrait Mode, and even 3D photos. This app allows photographers to shoot high-resolution video up to 4K Ultra HD quality. After capturing it, one can edit it right on the app and easily beautify it. ProCam 5 app offers everything in one place as it also provides full photo editing tools. One can edit the picture with filters and can also add background music for videos. InstaBeauty, a full-featured camera app for 2019 that allows you to look more charming and gorgeous in your selfie. It contains more than 100 beautiful makeup styles and filters. You can touch up your selfies quickly and easily like never before. Via this selfie editor, you can remove whiteheads，blackheads, pimples, acne and can get a flawless skin selfie. More than 50 million users globally use this app due to amazing selfie filters such as grid filters, teeth whitening, zoom in the eyes, stylish collage, emoji sticker, quick snap, special video, and many other amazing features. You can Download this app from PlayStore or Click Here. Are you looking for a quality image free of cost? No worries! Just give a try to Camera MX. Camera MX has a clean interface and is very fast and easy. It’s capable of capturing both: still photos and video recording. The different and best thing about this app is its ability of “Live Photos. It has a “Shoot-the-Past” Burst Mode that lets you check the captured sequence shots that took place before you even pressed the shutter button, so you never miss the moment. Download Camera Mx From play store or click here. Halid is a manual camera app that focuses on gesture control that looks very natural. It has a swipe option that allows users to change exposure and manual focus. A focus peaking feature also allows users to see what’s in focus instantaneously. There’s a fully automatic shooting mode, but you can also manually change the shutter speed & ISO. This is the best DSLR camera apps for Android. Download Halide from Google PlayStore. It is the is the best free Android camera app specifically for taking selfies as it focuses on enhancing a person’s beauty. It has an editing tool that helps you to look the best by offering six beautification levels. It also allows you to take full-body photos and allows you to make changes in your overall appearance. This latest camera app has a multi-face detection technology that makes it easier to click group pictures. The “Smile” feature in it can be used for auto-clicking pictures. Download YouCam Perfect from Google Play store. ProShot Provides you with DSLR like experience but charges you for it. Like DSLR, ProShot gives users Auto, Program, Manual, and two configurable Custom modes. It depends on you that which mode you shoot with. ProShot captures in RAW format in order to keep data intact for post-processing. Video recording is possible with ProShot as well, up to 4K resolution, so it’s a full replacement. Burst mode and time-lapse deliver high-quality results, so each moment gets captured as it happens. Download ProShot from Here for your Android Device. Youngsters, especially girls love the attention they get on social media platforms like Instagram, Facebook and Twitter where selfies act as a key factor to increase popularity. So download these useful Android camera apps and live in peace.